Lil Country Librarian: HeidiSongs CD's Giveaway! For the past four years, my students and I have absolutely loved HeidiSongs! We use the DVD's almost daily and sometimes multiple times a day. The songs and actions are so lively and relevant and they help my students get up and move around while reinforcing what we are learning in the classroom. I have mentioned HeidiSongs on my blog several times before because I truly believe in Heidi's products and customer service. I'm pleased to announce that Greg (Heidi's husband) offered to send me some products to giveaway to my fabulous blog readers! You have up to 9 chances to win one of the following CD's: Sing and Spell #5 or Sounds Fun Phonics. 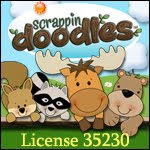 The giveaway ends at 6 PM CST on Wednesday, June 27, 2012. I will contact the winners via email to obtain a mailing address. 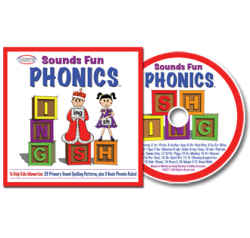 One winner will receive HeidiSongs Sing and Spell #5 CD and one winner will receive a HeidiSongs Sounds Fun Phonics CD. 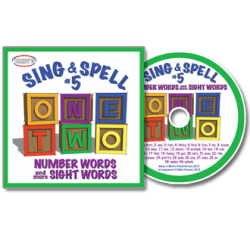 I received the Sing and Spell #5 DVD, Sounds Fun Phonics DVD and Music for Classroom Management CD as compensation for an honest review about HeidiSongs products and site and to offer the above items as a giveaway. My opinions and recommendations are based on my love of HeidiSongs products. TERRIFIC Giveaway!! We LOVE her too! Mercy, I hope I win! I need some HeidiSongs! I use her DVDs too. They really make a difference! I just started using her music this year. I love it!